The Cyclo-ssage Massage Therapy System provides effective pain relief from the secondary symptoms often associated with Osteoarthritis. Cyclo-ssage Massage Therapy provides effective pain relief for the common symptoms of osteoarthritis such as joint ache and swelling, burning sensations, muscle weakness and reduced range of joint motion. This is achieved by using a combination of cycloidal massage therapy and penetrating infrared heat, often resulting in improved joint mobility and pain relief for the osteoarthritis sufferer. Regular massage therapy will also improve the effectiveness of the muscles that support the arthritic joints and assist in the drainage of joint fluid swelling in the inflammatory stage. 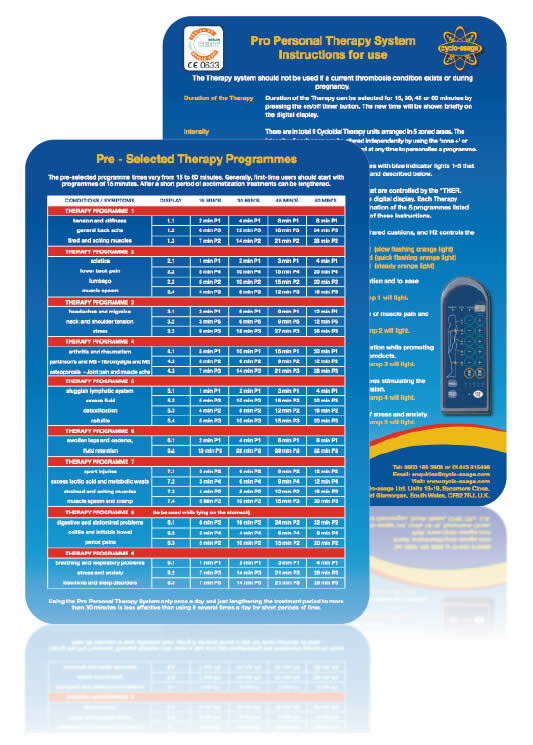 A choice of targeted massage programmes can be selected to give relief to a specific osteoarthritic joint and in the case of joint replacement regular use of the massage therapy will enhance muscle condition pre-surgery and accelerate the healing process post surgery. 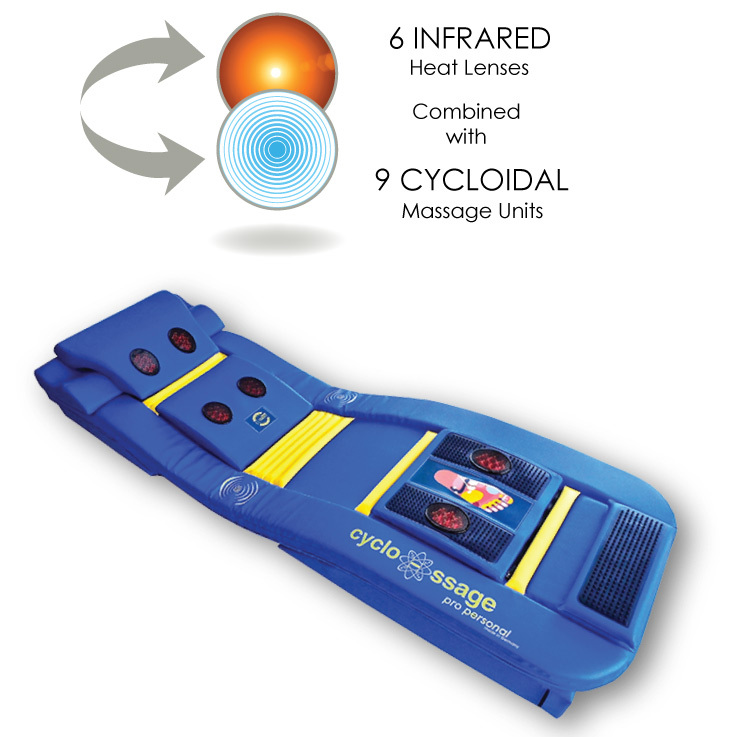 The Portable Cyclo-ssage Massage Therapy System can be used on any flat surface such as a bed or on the specifically designed therapy stand. This allows you the freedom to choose when and where you have your daily treatments. The Cyclo-ssage massage therapy system is an approved medical device manufactured in Germany to the highest standards, receiving the Berlin Certification for medical devices and the medical product conformity CE 0633. Used and recommended by many health professionals. Nothing is more important than investing in your health enabling you to spend quality time with the people that are special to you. "I love my Cyclo-ssage it is the best thing I have ever invested in…"
We exhibit at events throughout NZ where you can personally experience a Cyclo-ssage treatment.